This article takes a closer look at the arguments from both parties, and reveals two strikingly different processes that led to these conflicting assessments. In short, the WHO process was transparent, stuck to conventional scientific methodology and looked at glyphosate-containing herbicides (as glyphosate is never used alone in the real world), whereas EFSA’s route was based on a ‘peer review’ by anonymous EFSA and national public officials relying on undisclosed industry-sponsored studies that looked at glyphosate alone. The European Commission, which will have the last say on whether or not glyphosate will be re-authorized in the EU, and under which conditions, must now decide what to make of this interesting piece of ‘science’. The first conclusion was anxiously anticipated in the pesticides world, and was met with relief by industry. “Science wins! !” exulted Monsanto’s Chief Technology Officer Robb Fraley. With this assessment, EFSA had reached a verdict opposite to that of the panel of scientists convened by the WHO’s International Agency for Research against Cancer (IARC). These expertsdetermined in March 2015 that glyphosate was “probably carcinogenic to humans”5 after having found “limited evidence” of cancer in people and “sufficient evidence” in experimental animals. The complete Monograph waspublished by the IARC in July 2015. This conclusion was not in itself a death sentence for glyphosate: the IARC’s conclusion is a hazard characterisation, most studies documenting harm were based on high doses and in the EU it is up to the European Commission to regulate glyphosate6. However, the EU pesticides legislation foresees that pesticides that are linked to “presumed human carcinogenicity” based on “sufficient evidence” in animals must be banned7. Since what the IARC found was precisely such sufficient evidence, industry reacted with fury to the threat. 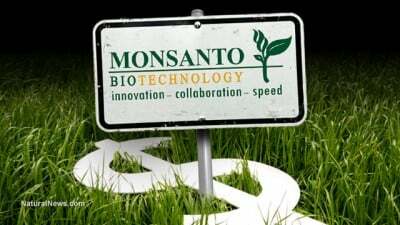 The business model of Monsanto, in particular, is still heavily dependent on sales of glyphosate-based Roundup and crops genetically engineered to resist this weed killer. The company publicly demanded the retraction of what they termed “junk science” and lobbied WHO director Margaret Chan to “rectify” the conclusions of the report. The WHO organized a task force over the summer of 2015 to compare IARC’sfindings with those of another WHO body that had come to opposite conclusions in 2004 and 2011. This body, the Joint FAO/WHO Meetings on Pesticide Residues, was asked by the task force to perform a “full re-evaluation of glyphosate” and to review its “internal guidelines to consolidate the criteria for data inclusion/exclusion with respect to published and/or proprietary data sources”. IARC conclusions were left untouched. Subsequently, Germany’s national risk assessment agency (BfR), the lead agency in the EU assessment process, scrutinized8 the published IARC Monograph in considerable detail and agreed9 that the IARC classification of the available data as “limited evidence in humans for the carcinogenicity of glyphosate” was adequate. But BfR adopted a “more cautious view” than IARC in the interpretation of the human evidence, arguing that the IARC review had found “no consistent positive association” documenting human exposure to glyphosate, and that it was not possible to “differentiate between the effects of glyphosate and the co-formulants” in most of the studies at stake. But within the EU, Sweden was more or less alone on this one. Although Norway also voiced strong criticism of BfR’s statistical treatment of animal evidence, it is not an EU country. All other Member States followed the BfR judgment, with Belgium agreeing11 with Germany’s (reported) description of the IARC classification choices as “merely driven by the precautionary principle”. France was also in complete agreement with BfR, and surprisingly concise in its reaction12, praising the “huge work provided by Germany on the IARC conclusions”. Denmark, the UK and Spain were also unified in their acquiescence. Ireland asked why the two statistical approaches yielded such different results but did not oppose BfR’s. EFSA took note of the quasi-unanimity around Germany and, while acknowledging the consensus on the appropriateness of the IARC classification, embraced the general opinion on the statistical flaws in IARC’s data on animal carcinogenicity. IARC’s conclusion that glyphosate “probably” caused cancer in humans thus became an “unlikely” in the EU review’s final conclusions (although Sweden and Norway insisted on their dissenting minority opinion). Both terms refer to a probability, but from an opposite viewpoint. How could the perspectives of IARC scientists and EFSA and EU Member States officials have come to differ so widely? As EFSA was requested by the European Commission to include the IARC findings in its review, the EFSA officials who published the peer review provided some explanation. First of all, EFSA officials explained that the two reviews used different sets of data. As glyphosate is almost never used alone in the real world but in hundreds of different combinations, IARC scientists had reviewed several studies assessing glyphosate formulations.13 These studies of real-world exposures – to agricultural and forestry workers, and to community residents – were obviously essential in their assessment although IARC also reached its conclusions based on laboratory studies of pure glyphosate alone, concluding “sufficient” evidence of cancer in animals and “strong” evidence of genotoxicity. EFSA and national officials, on the other hand, had a narrower mandate. They were confined to EU pesticide legislation, in which only the declared “active substance” of the pesticide is considered, whereas the assessment of the toxicity of formulations is left to Member States. So EFSA and Member States barely acknowledged IARC’s real-world exposure studies as the products at stake were not pure glyphosate. This separate assessment in the EU regulation of the different compounds in pesticides is reductionist, and is a fundamental problem. In fact, the final product combines these different compounds to obtain a synergistic effect (greater than the sum of its parts), and as a consequence the health impact of commercial formulations escape assessment at the EU level. For example, Germany had earlier banned a common Roundup adjuvant known as POEA,explaining: “There is convincing evidence that the measured toxicity of some glyphosate containing herbicides is the result of the co-formulants in the plant protection products (e.g., tallowamines used as surfactants)” and concluding14that “Member States are encouraged to consider the substitution of alkylamine ethoxylates (POEA) in plant protection products with less toxic surfactants.” However, no other Member State has yet followed suit: EFSA was mandated by the Commission to look at POEA, but called for more research to be done before it could issue any recommendation. Acknowledging such an enormous data gap means that the safety of existing glyphosate formulations used in Europe is in doubt. Indirectly, it is also a damning indication that existing EU regulations are not fit for purpose, and that Member States are not doing their jobs. There are some non-industry-sponsored studies on common active substances such as glyphosate that allow EU and national regulators to double-check the information (or absence thereof) submitted by producers.21 However, there are very few independent studies on existing formulations, such as those used by IARC, in the public scientific literature. The ability of Member States to systematically assess the formulations used in the EU is therefore limited, as they would need to finance studies assessing each commercial formulation independently of its producers. This simply does not happen. As a result, information about the toxicity of glyphosate formulations used in the real world is not available to the public. Industry probably knows more than anyone else, but rarely publishes detrimental findings. Other factors, in this case unreported by EFSA, might also have played a role. Throughout the process, whether at BfR or EFSA, the risk assessment process has been anonymous. Bfr did not disclose the authors of its original report, although there are pesticide (including glyphosate) producers on its panel. Furthermore, the agency revealed that the number of studies sent to them by glyphosate producers was so huge that they simply used summaries provided by the producers, adding comments where appropriate. Similarly, EFSA did not give the work to its pesticides scientific panel, which consists of external scientists who contribute to the agency’s work, but to officials in its Pesticides Unit. The same anonymizing treatment was applied to all officials representing EU Member States who participated in the peer review. This was justified as follows22: “As an EU organization, EFSA has an obligation to protect the personal data of its employees, [and] also to avoid undue influence”. This secrecy is understandable during the process, but less so once the study has been published – many comparable regulatory agencies such as the Environmental Protection Agency, in charge of pesticides evaluation in the USA, do publish such names. Nonetheless, EFSA refused to disclose the names of its officials and those from the Member States (the name of one national expert appears by mistake in the document). In contrast with EFSA’s ‘peer review’ process of relying on anonymous officials based on undisclosed studies for key decisions, IARC’s process is completely transparent and reproducible. “We only use publicly available data,” explained Guyton. “This is the cornerstone of the Monographs scientific procedures.” This open process makes it possible to access and review all of the original scientific studies, thus ensuring post-publication review that the evidence and conclusions are scientifically valid. In addition, IARC’s panel was composed of “world leading experts” according to Guyton, carefully screened for possible conflicts of interest by IARC staff, with declarations of interest disclosed two months ahead of the meetings for public scrutiny. What can we make of these two divergent processes? Which body’s assessment of the safety of glyphosate is correct? One obvious way to progress would be to publish the three famous confidential studies and agree on their statistical treatment, but this looks far from straightforward. EFSA confirmed that they would not publish the raw data of these studies, asserting that what they have already published is comparable to the “amount of information contained within articles published in the open scientific literature”. However, accessing the raw data would be the only way to double-check how these studies’ findings were obtained; the expert NGO Pesticides Action Network Europe has been fighting in courts for years trying to obtain this very data on glyphosate and so far companies have always refused to disclose it and let independent scrutiny on their data take place. Regarding the statistical methodology, IARC scientists have strongly critiqued the peer review carried out by EFSA and Member States, saying25 they are “astonished” by BfR’s treatment of IARC’s statistical interpretation of animal data. Greenpeace Europe and PAN Europe accused the EU and national public officials of using flawed historical control data to dismiss the significant evidence observed by IARC (and later by BfR itself). EFSA has defended its use of historical control data, asserting that it was selected according to valid guidelines. Which, in turn, is strongly contested by IARC scientists. A hopefully swift resolution of this dispute is pending, but is it really about science in the end? It is striking that the argument revolves so much around the interpretation of legal texts (OECD guidelines etc) for the inclusion/exclusion of data and so little about the real-world dimension of the problem and the actual experiments. In any case, comparing the integrity of the two processes is sobering. IARC strictly adhered to conventional scientific methodology (with reproducible results), while our European anonymous public officials did not. From that perspective, the Monsanto’s Chief Technology Officer’s exclamation that “science wins” means that the company’s position did indeed prevail in this battle, but it really does not say much about the quality of the science at stake. The obvious conclusion is that the EU’s pesticides risk assessment system sorely needs reform. While glyphosate is the most frequently used herbicide in Europe, “there is little information available on occupational or community exposure to glyphosate,” according to IARC. Asked whether IARC had taken into account a small study commissioned by the NGO Friends of the Earth Europe on the presence of glyphosate in people’s urine across Europe, Guyton commented: “that study was half the data we had! We don’t know the levels, we don’t know the frequency. … Basically, we don’t have any information.” Ultimately, this means that the largest economic entity on the planet, the European Union, does not monitor its own population’s exposure to the top herbicide used in its territory. In conclusion, we offer one remark and two questions. Germany’s recommendation to increase EU consumers’ legal exposure levels by 66 per cent – supported by EFSA – has hardly been discussed (not just in this article, but anywhere). This is surprising, and EFSA has already announced that it is going to revise approved residue levels in 2016. Secondly, the never-asked question that lurks in the shadows of this process: can the EU really execute its own pesticide policy and ban glyphosate if the law demands so; or is TTIP throwing a spanner in the works again, since glyphosate is of too great strategic importance to US interests (ie GM crop exports)? Finally, if the EU doesn’t want to implement a ban, can it afford to acknowledge that IARC might be right? At any rate, having independent scientists whose work and background can be checked rather than anonymous officials and confidential references in charge of this evaluation would have increased trust in the outcome of the entire exercise. 2. The glyphosate tolerance genes inserted in these plants have now spread to a large number of weeds, making the use of glyphosate less and sometimes not at all effective. To fight this, the biotech industry is now selling (or planning to sell) GM crops tolerating several herbicides at the same time. However, these herbicides, which include glufosinate, 2,4 D, and dicamba, are more toxic to humans than glyphosate. 3. The Acceptable Daily Intake (ADI) was increased from 0.3 to 0.5mg/kg of body weight. 4. This has been proposed by Germany’s national agency BfR. (The EU’s Pesticides Regulation foresees that Member State do the first examination of a pesticide and that EFSA then does a peer review of this opinion together with all other Member States). 7. Specifically, the regulation says: “classification in Category 1A and 1B is based on strength of evidence […] [which] may be derived from human studies that establish a causal relationship between human exposure to a substance and the development of cancer (known human carcinogen); or animal experiments for which there is sufficient evidence to demonstrate animal carcinogenicity (presumed human carcinogen). In addition, on a case-by-case basis, scientific judgement may warrant a decision of presumed human carcinogenicity derived from studies showing limited evidence of carcinogenicity in humans together with limited evidence of carcinogenicity in experimental animals.” Regulations (EC) No 1107/2009 on Pesticides and (EC) No 1272/2008 on Classification, Labelling and Packaging (CLP), p. 104. 8. Addendum 1 to the RAR Assessment of IARC Monographs, Final addendum to the Renewal Assessment Report (public version), Risk assessment provided by the rapporteur Member State Germany and co-rapporteur Member State Slovakia for the active substance GLYPHOSATE according to the procedure for the renewal of the inclusion of a second group of active substances in Annex I to Council Directive 91/414/EEC laid down in Commission Regulation (EU) No. 1141/2010, October 2015, p. 4156. 13. With adjuvants (substances that change/increase the effect of glyphosate). 14. Glyphosate Addendum 1 to RAR Part Ecotoxicology, Final addendum to the Renewal Assessment Report (public version), Risk assessment provided by the rapporteur Member State Germany and co-rapporteur Member State Slovakia for the active substance GLYPHOSATE according to the procedure for the renewal of the inclusion of a second group of active substances in Annex I to Council Directive 91/414/EEC laid down in Commission Regulation (EU) No. 1141/2010, October 2015, p. 4316. 16. EFSA, 2015. Conclusion on the peer review of the pesticide risk assessment of the active substance glyphosate. EFSA Journal 2015;13(11):4302, 107 pp. doi:10.2903/j.efsa.2015.4302, p. 11. 17. Two were however included in their evaluation because public, final peer reviews of the data by the US government and the World Health Organization was available. 18. Phone interview with CEO, 19 November 2015. 20. This problem exists in all regions of the world, and the very high entry cost on the market created by this situation protects large companies against competition: the market is concentrating rapidly, with the 10 largest pesticide producers controlling 94.5 per cent of the global market. 21. Provided of course they actually try to find it: EFSA has to include all available independent information in its work but often fails to do so.